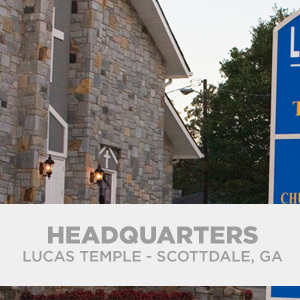 Lucas Temple True Church History – Headquarters | True Church of God in Christ, Inc.
Bishop W. L. Lucas was with the Apostolic Holy Church for twenty-one years. The Lord revealed to him that the church needed to be reorganized but he could not reach agreement with the other brethren. As a result, Bishop W. L. Lucas separated himself from them and started the True Church of God in Christ . In the year of our Lord 1945, the Lord blessed and added souls to the body such as should be saved. At this time, Elder R. Martin, Elder Willie Fred Lucas, Sister F. B. Jones, Mother Mollie Lucas, and Sister Martin were working together. The first assembly was held in September 1948 in Thomasville, a suburb of Atlanta, GA in which the True Church of God in Christ, Inc. was officially organized. We had a number of representatives from various parts of Georgia. Bishop W. F. Lucas, then Elder Lucas, founded the True Followers of Christ, which was later renamed Lucas Temple True Church of God in Christ on June 4, 1951. The Lord blessed our Bishop with a bible class that met each week in his home. For about one year, he started going from house to house in the community teaching God’s Holy Word. In 1952, the Lord blessed Bishop Lucas with a little tent in which to hold service. He pitched that tent on the lot next to our present sanctuary in Scottdale, Georgia. He preached and taught in the tent for nearly a year. While worshiping in the tent, Bishop Lucas administered his first baptism in the name of the Lord Jesus Christ in Scottdale, Georgia. He used a dammed-up creek for this service. The lookers on were so amazed with this new way of baptizing—in the name of the Lord Jesus Christ. Fourteen (14) souls were baptized that day in the name of the Lord Jesus Christ. The few saints praised the Lord in that tent for about one year and worked to raise enough money to purchase the land on which to construct a building. They moved into the basement of the building in 1953. In April of 1954, the upper sanctuary was complete and the church moved in. Our Bishop continued to preach the Word of God and the Lord kept adding members to the church. We eventually outgrew our first building. In 1971, the old structure was renovated to accommodate more members. After about ten (10) years, this building could no longer accommodate the larger membership. Under the dynamic leader-ship of our Bishop Lucas, the saints made preparations for the third expansion of the sanctuary. Next, we added the A. B. Lucas Dining Hall, and in l993, the balcony was added for additional seating. Our Bishop received a “VISION” of multitudes joining the True Church Family. Moving with the Wisdom of God, he made plans to accommodate such a substantially increased membership. However, the Lord called our Great Bishop Lucas home (March, 1994) before he could make his vision a reality. The task fell to those who remained to realize and complete that vision. His works, however, proves that he had an ideal vision for the work of the ministry. As with many other patriarchs of the Bible, God had a man waiting in the wings to assume the reigns of leadership. Elder B. J. Lawson, then Chairman of the Board of Elders, was voted by the Board of Elders as the new General Overseer and Presiding Bishop. Among his long tenure with the True Church, Bishop Lawson was admired for his ability to start works and to maintain the membership. Baptisms were held often, and we began to make plans for the final expansion of the church first revealed by Bishop Lucas. The saints again began working to raise enough money to enlarge our sanctuary one last time to a seating capacity of 744. In August of 1997, we had enough money to start the renovation. When the new building was within a few weeks of completion, a fire destroyed it on September 8, 1998. The fire consumed everything in the building. Nevertheless, the power of God was not to be thwarted. We moved our Sunday services to the Robert Shaw Elementary School ! Members from across the body began to make donations to help rebuild the Headquarters location. A few months later, we began having services in the dining hall. To accommodate the number of people, we had two services on Sunday morning. We secured a loan from the bank and reconstruction began to take off. 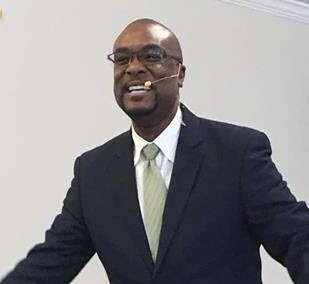 In August of 2001, Bishop Lawson became the pastor of the Lucas Temple True Church with Elder Jeffries serving as the assistant pastor and Elder Battle assisting also. With Deacon Edward James Robinson leading the way with the contractors and inspectors with the aid of Elder Battle, the church was finally approved and dedicated on November 2001.Thanks be to God which gives us the victory. 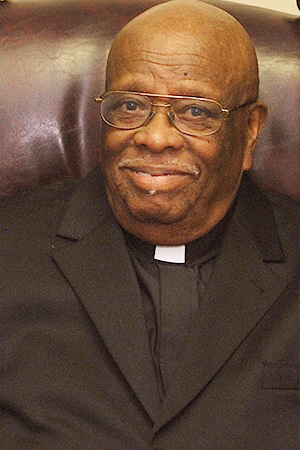 Elder Jeffries was named Bishop and General Overseer of the True Church of God, Inc. after the sudden passing of the late Bishop B. J. Lawson. 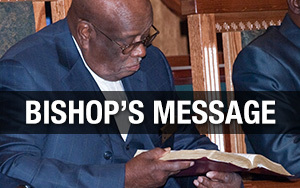 Bishop Oprie Jeffries appointment was confirmed during the fifth Sunday meeting in December, 2006. At this time Bishop Jeffries announced that he would continue to teach and preach the true word of God as did the three Bishops before him.